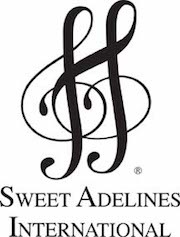 Before I became a dedicated Sweet Adeline, I am a mother of twin boys, drove an eighteen wheeler for 4 years, then rode motorcycles with my husband in the Shriners Goldwing’s group. I worked at UMB in downtown Kansas City and then went to Bryan Travel School, then became an accountant for BCD travel. I retired in 2012 and moved to North Carolina for a couple of years and then moved back to Kansas City.